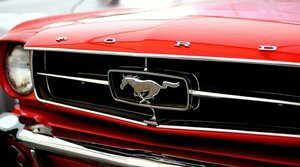 From Steve McQueen’s famous green Mustang GT 390 in Bullitt to Vin Diesel’s 1970 Dodge Charger in Fast and Furious, iconic movie classic, vintage and muscle cars have a place in the hearts and minds of car enthusiasts everywhere. When it comes to shipping a classic car, follow these simple steps for a classic car shipping experience as smooth as a ’66 Cadillac DTS. There is really no replacement for experience in the auto transport industry. This is magnified when it comes to collector cars which are more susceptible to being damaged. We recommend creating a short list of well-established classic car transport brokers that are fully insured and have good experience moving classic cars for years. A great place to look for reliable transporters is on Google or another search engine, which will have reviews and more information. 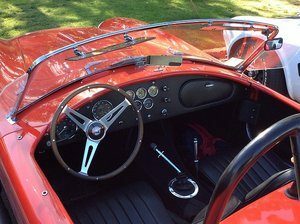 After finding a classic car shipping company online, read what their customers say about them on sites like Yelp, Google and the BBB. Make sure the classic car transporter is committed to safety, reliability and outstanding customer service. Read the review’s details – the good, bad and ugly. For example, in the positive reviews, look for testimonials highlighting strong customer service and a record of safe and on-time delivery. Then sort by negative reviews, looking for keywords like “hidden costs”, “late” or “damaged”. If these keep showing up, it’s a red flag and reflects poorly on the quality of carrier network they work with – a very important detail. A major advantage of a broker over a carrier is the breadth of their carrier network. That said, an auto transport broker is only as good as the carriers they partner with. Your ideal transporter is a car shipping perfectionist, ensuring the greatest chance for reliable delivery every time they transport a classic car. They will know exactly which open and enclosed carriers to work with – and which ones to avoid. This insight will save you time, money and frustration from the trial and error process. Whether you opt for open or enclosed transport, they will make sure everything has been arranged and will keep in contact with you through the entire process. Another good way to uncover a reliable transporter is to look at the car brands they ship. Look for evidence they have experience shipping for Land Rover, Porsche and other high-end car brands. The next step is a very important one. Probably the biggest takeaway from reading this. 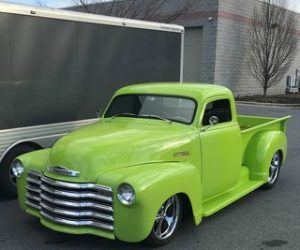 Why should you avoid the lowest classic car shipping quote? Now you’ve narrowed your list to reliable, experienced and trustworthy auto transport brokers, it’s time to get a price to ship your classic car. Tempting as it may be, opting for the lowest price is probably the single biggest classic car transport mistake you can make. The car shipping industry is littered with horror stories of unreliable and less than trustworthy carriers and brokers who offer a cheap quote then cut corners and are less than truthful with their customers. For example, sometimes online car shipping calculator estimates don’t include surcharges for insurance or gas. Other times, companies use old equipment, which increases the likelihood of damage or delays. Always make sure your price is all-inclusive! I bought my dream classic car in Georgia and had to choose a company to ship it to California. I found Fisher Shipping and just by talking to them, you get the sense that they care about customer service. They were mid range in pricing, but do you really want the lowest price to transport your dream car? I hired them and before they even had a signed contract, made arrangements with the dealer, picked up the car the same day and made it across the country in record time. I am so happy I selected this company, would recommend to anyone for auto transport. Thanks to Matt for making everything happen! At Fisher Shipping, we’ve been transporting classic cars for years and are proud of our reputation as the most trusted name in auto transport since 2006. That said, whomever you decide to work with, we hope these tips helped you make a sound decision. Best of luck!